A crowd listens to Pam and Bob Tebow, parents of Tim Tebow, speak during the Bayside Festival Saturday at the Open Space in Traverse City. 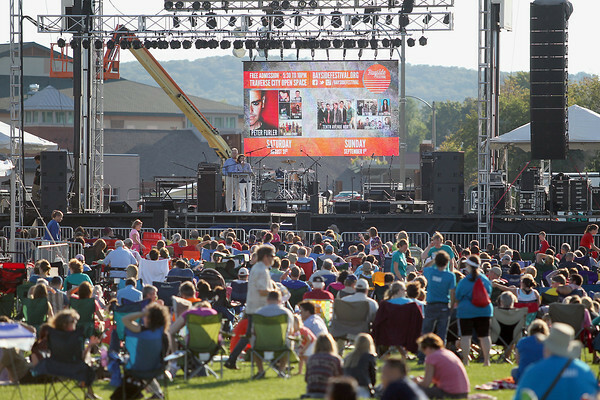 The event, supported by a local coalition of churches, pastors, ministries, and business partners, aims to promote the message of Jesus and the Church in Northern Michigan. The free festival opens Sunday at 5:30.